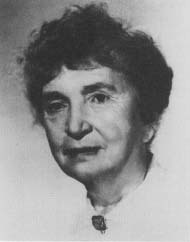 Margaret Sanger (1883-1966) was the founder of the birth-control movement in America. She fought long-established attitudes about birth control and provided information to women, both rich and poor, about birth control methods. Sanger was born Margaret Higgins in Corning, New York. She trained as a nurse in White Plains and Manhattan. In 1900 she married William Sanger and kept his last name, even after divorcing him and getting remarried. In her nursing work in New York City, Sanger saw much suffering among the poor due to a lack of birth control information. Deaths from self-induced abortions and high infant mortality were commonplace. In large part because of what she witnessed, Sanger decided to devote her life to making birth control information—including material about safe birthing practices—and products available to anyone who wanted them. In 1914, Sanger founded the National Birth Control League, an organization that offered lectures and print information about birth control. Soon after forming the National Birth Control League, Sanger was arrested for distributing birth control information in violation of the Comstock Law (a law named for anti-vice crusader Anthony Comstock which made it illegal to distribute or mail information about sexual topics, including birth control). After her release, Sanger founded the American Birth Control League in 1921. This organization eventually became the Planned Parenthood Federation of America. Not content to change attitudes about birth control in America, Sanger expanded her crusade with a World Population Conference in Switzerland in 1927. She later went to India and Japan to promote family planning. Sanger continued to be controversial, even after laws were changed that made it easier to obtain birth control products. Some critics claimed that Sanger just wanted to make sure that poor, uneducated people—the focus of much of her early work—never got the chance to reproduce. Her personal life was also controversial. She was divorced in a time when it was frowned upon and stated that she didn't believe marriage was a sacred institution. She also believed in free love and free (or open) sexual relations. Controversial attitudes aside, Sanger's courage and persistence in advocating birth control choices gave women the freedom to plan their families, improve their health by avoiding risky pregnancies, and pursue interests and talents outside the role of motherhood.